✓✓ This is a great way to rank your site higher in the Google and to socialize your site. ✓✓ Relevant title,description and tags will be manually added. ✓✓ Approved social bookmarking links. N.B: Alchoholic,pornographic and gambling related contents are not allowed. 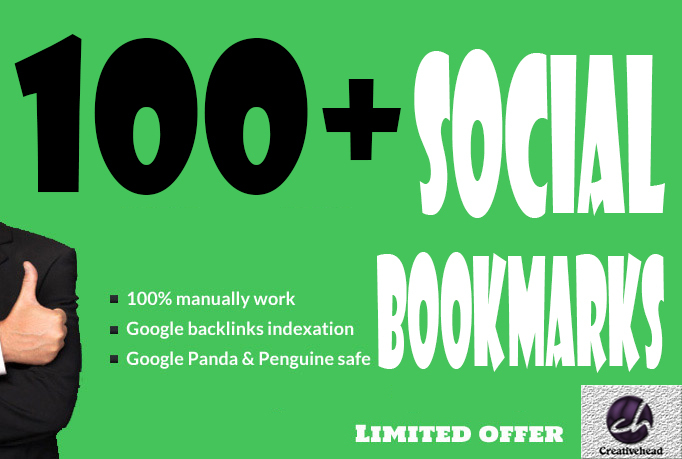 will Bookmark your site to 100 unique Social Bookmarking sites only is ranked 5 out of 5. Based on 233 user reviews.